Sometimes the will is strong but the body is… not so strong. 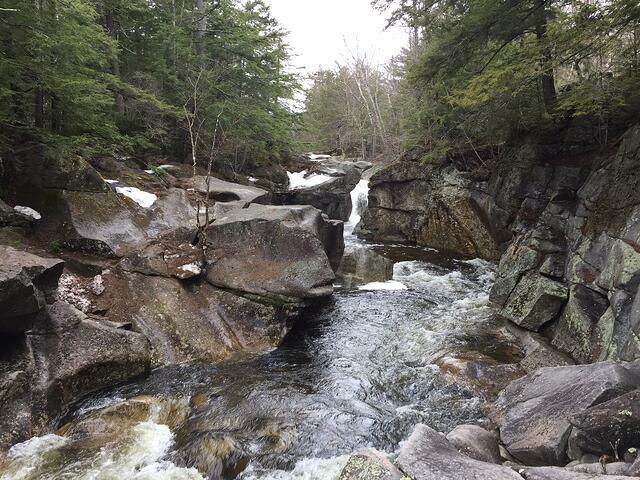 That’s why we sent local outdoors enthusiast and RiverWalk Resort travel commentator Christa Peoples on the road to find the best roadside cascades and waterfalls in the White Mountains for those who may have difficulty – or just don’t want to – go hiking. 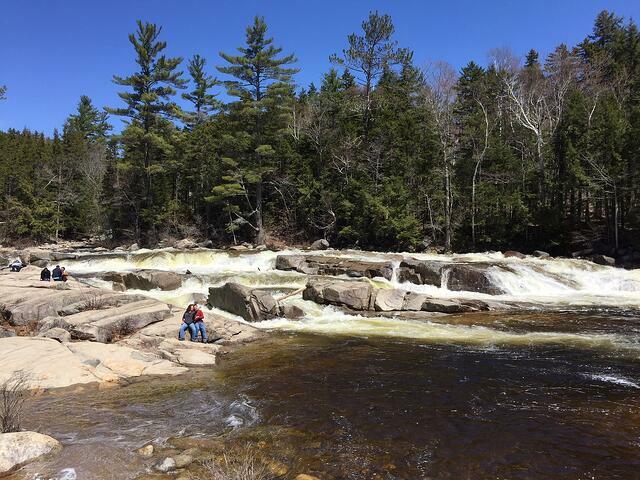 Read on and check out last week’s post on 5 Short Spring Hikes to the Best Waterfalls in the White Mountains for some tips on how to vacation like a local. 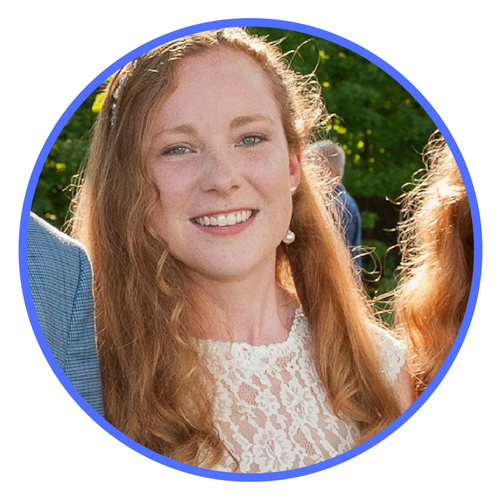 This blog post is part of “The Guide to Spring Activities In The White Mountains” and "The Guide to Summer Activities in the White Mountains" blog series. As a White Mountains local, I find myself passing mountain streams and roadside cascades every day. This is an incredible place to live, and if you aren't jealous of me yet... well, you should be. Some of these spots are popular swimming holes and can be crowded on a nice summer day. I must stress that if you are thinking about going for a swim, remember that rivers in the White Mountains can be quite dangerous. Don’t get in the water if it has recently rained and always go with other people. 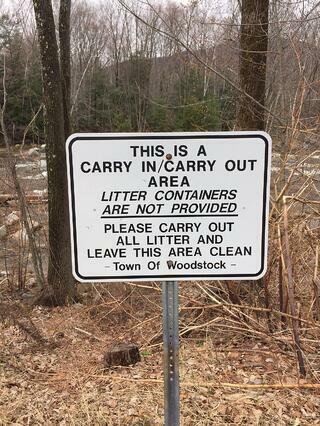 And please, pick up your trash! These waterfalls do not come with a maid service. After hiking Ripley Falls, you might as well stop at Silver Cascade, the most impressive roadside flume waterfall in New England. Parking is about five minutes west of the Ripley Falls trailhead on the Twin Mountain/Franconia side of Route 302 in Crawford Notch State Park. Even the sound of cars driving by is soothing. This scenic area is at the bottom of the Kancamagus Highway on the Conway side. This is a good spot to stop for lunch, especially with a large group of people. There is a covered shelter with picnic benches and a charcoal grill. Additionally, there are on-site maintained bathrooms… which are CLOSED from late October to late May. However, there is a McDonald’s in North Conway which suitably serves the same purpose. This park is easily accessible, located right next to a public parking lot behind Coneheads Ice Cream Shop in North Woodstock. It is a popular swimming hole in the summer – be prepared to scramble over rocks and hack through some brambles to stake your spot! Dogs are allowed, so watch your step and guard your ice cream cone. 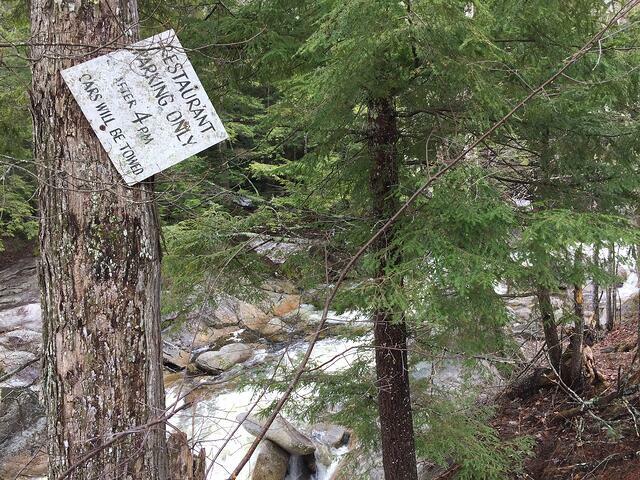 Agassiz, oh Agassiz… This is one of the most interesting, entirely free local spots, where you can park, walk fifty feet, and stand on the side of a cliff to look down at Moosilauke Brook as it plunges over a 20-foot waterfall. There is easy parking along Route 112 heading west out of North Woodstock (if you see a sign for Caulder Construction, you’ve gone too far). The sand parking lots used to serve a long-lived Italian restaurant called Govoni’s, which was sadly demolished just a few short months ago. As of spring 2017, there is still quite a bit of debris remaining. Unfortunately, you can't get the lasagna here anymore. Take the path in between the first two lots for the safest way down. Agassiz Basin is a well-known local spot for swimming and cliff-jumping, but it can be very dangerous. Do not get in the water if it has recently rained. A good rule of thumb: If the locals aren’t swimming in it, you shouldn’t either. Agassiz Basin is very beautiful, easily accessible, and one of my favorite roadside waterfalls for the striking juxtaposition of the plunging cascades alongside the remaining foundation of Govoni’s Restaurant. 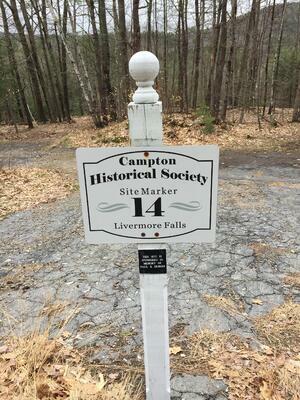 To get to Livermore Falls in Campton, take exit 27 off I-93, head east off the exit ramp, and turn right onto US Route 3. Two miles down the road (keep an eye on your odometer), there are two small dirt lots on the left. And follow the path to the left to get a small beach area and the abandoned structure of an old paper mill. Climb through the window of the crumbling structure to get to what would have been its ground floor for the best up-close view of the falls. Do you see the hooligans playing hooky? Unfortunately, the walk down to Livermore Falls is not handicap-accessible and requires walking along a pretty narrow path next to a ledge. So, that being said, I wouldn't recommend this for people afraid of heights either! The Basin has its own exit off I-93 going through Franconia Notch. This is a beautiful natural whirlpool accessible by a 0.1-mile walk along a paved pathway. It is a very popular attraction, so no matter what time of year you visit, you are unlikely to be the only person there. The real treat of this spot is the 0.5-mile hike up Kinsman Falls – so if you have the time and physical ability, check out last week’s article and plan to get some exercise! Have you visited one or more of these spots? 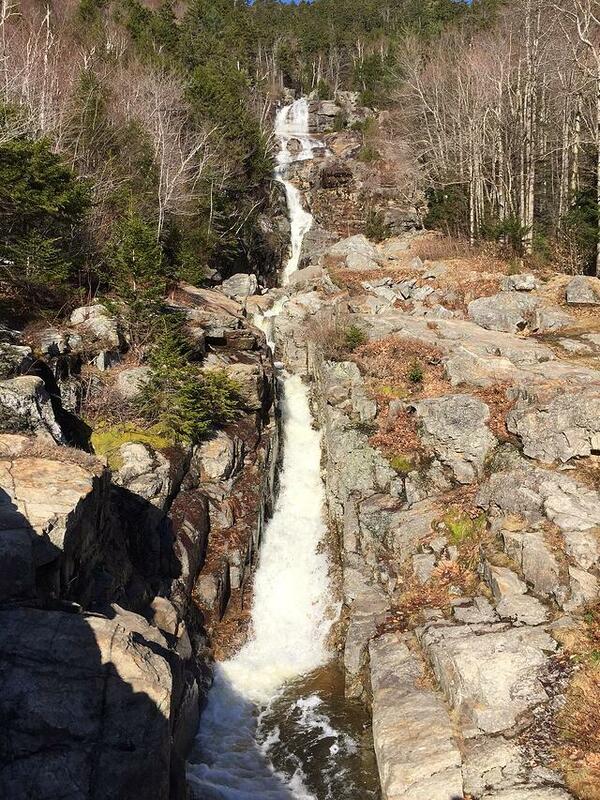 Is this list missing your favorite roadside waterfall in the White Mountains? Let me know what you think – I can make time to visit a few more cascades this spring! This blog post is part of the “RiverWalk Guide to Spring” and "Riverwalk Guide to Summer" series.